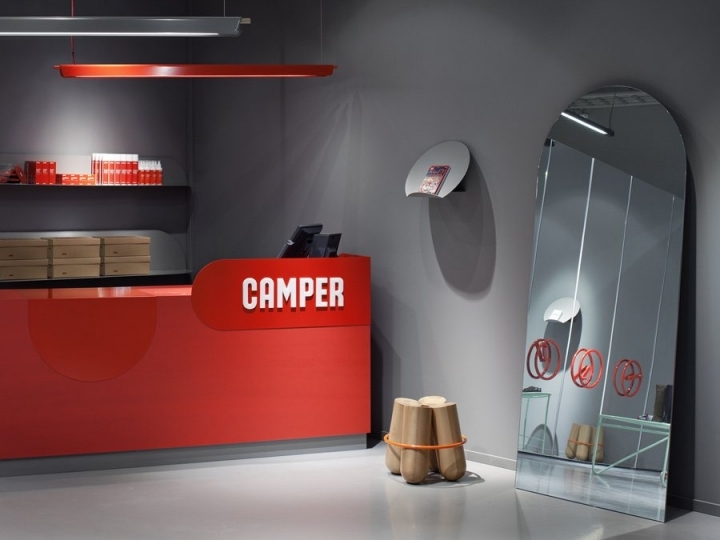 For a Camper store in Malmö, Sweden, Note Design Studio created this understated shop in pale grey and pastels, featuring custom-designed shelving and mirrored walls. 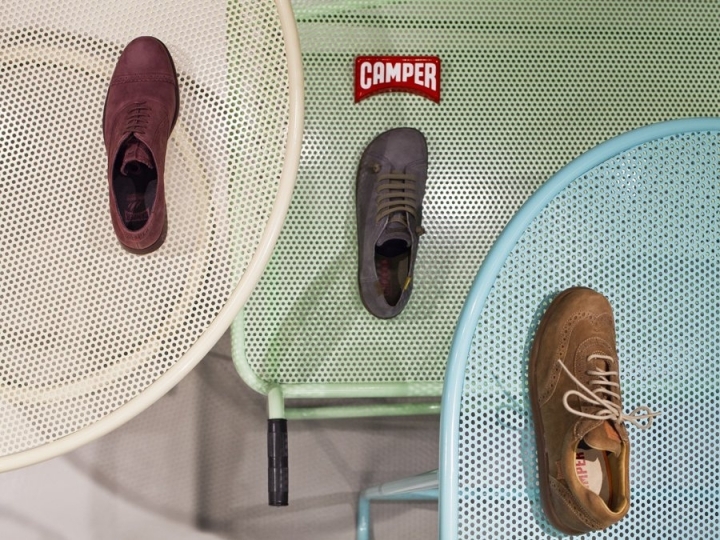 The Spanish shoe brand is famous for collaborating with designers for each of it's stores - you can see all of our Camper stories here - and each has a unique feel. 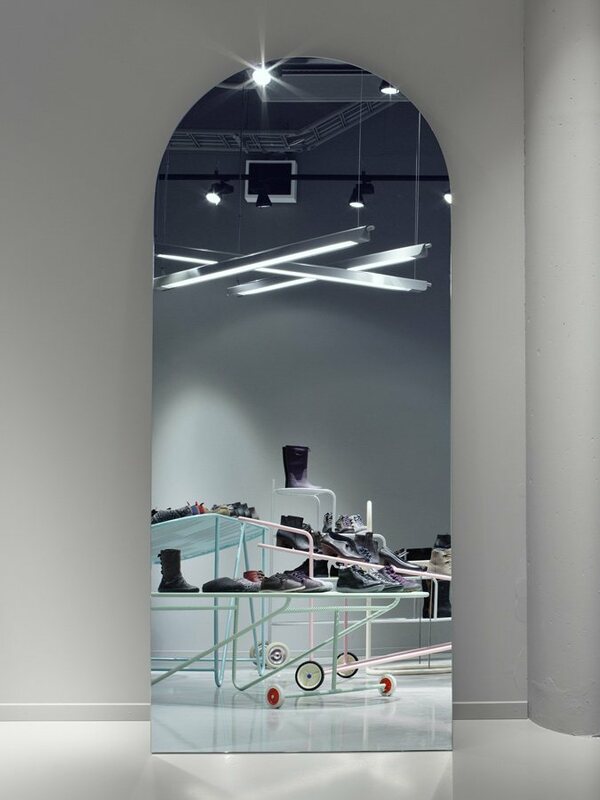 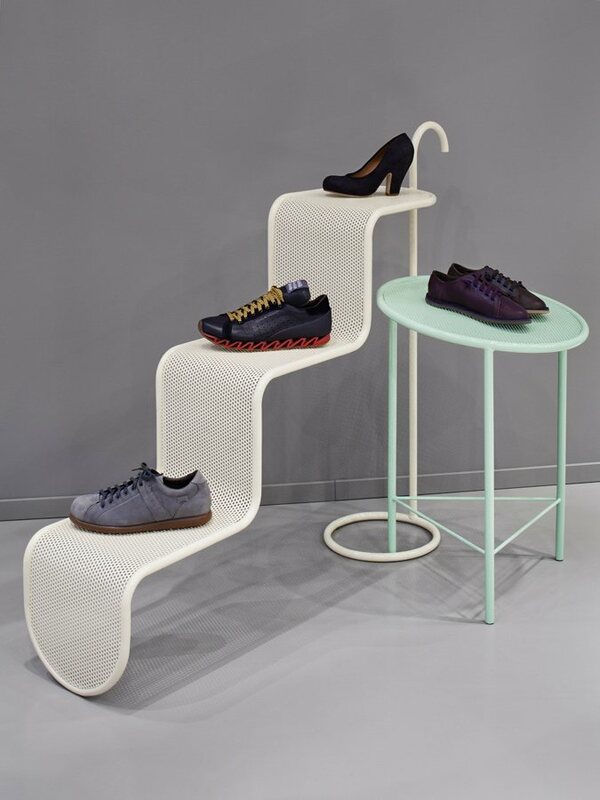 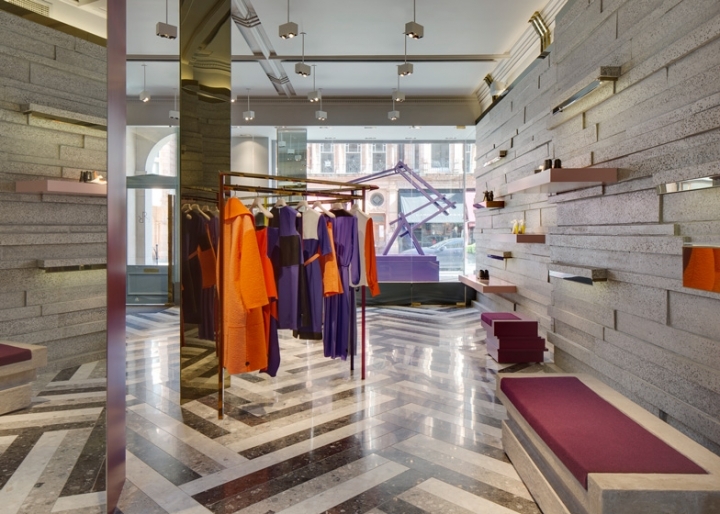 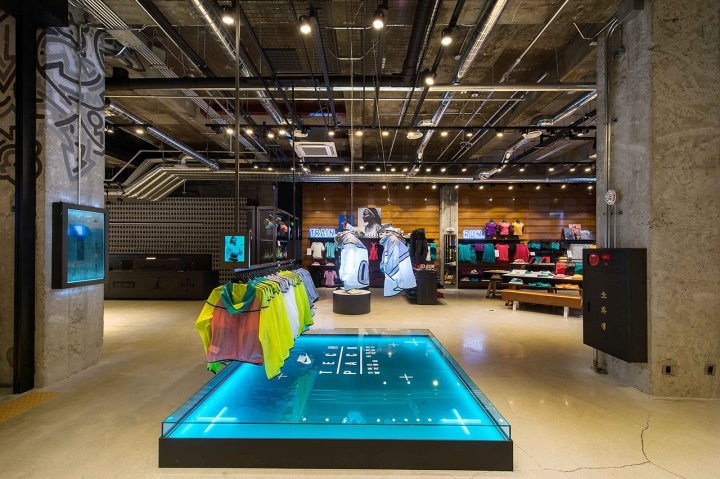 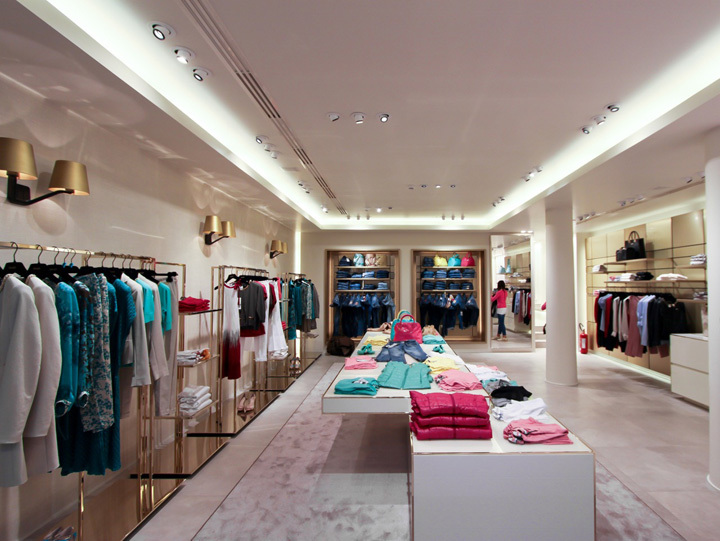 In the Malmö shop, shoes are stored on zig-zagging, overlapping units in whites, greens and blues, contrasting with the grey walls and bold red front cash area. 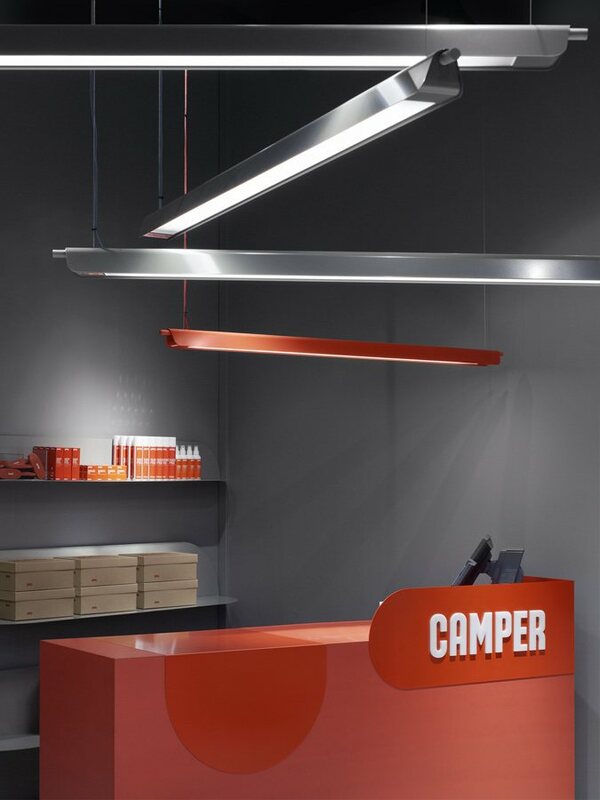 Fluorescent lighting and mirrors give the area a slightly retro-industrial feel, alluding to the name 'shoe testing facility'.